1. Use the paint and paint brush to paint the wood base with your base color and let it dry. 2. Use the paint and paint brush to paint the wood base with a second color and let it dry. 3. Use the sandpaper to distress and remove select areas of the top coat of paint to allow the bottom color to peak through. 4. 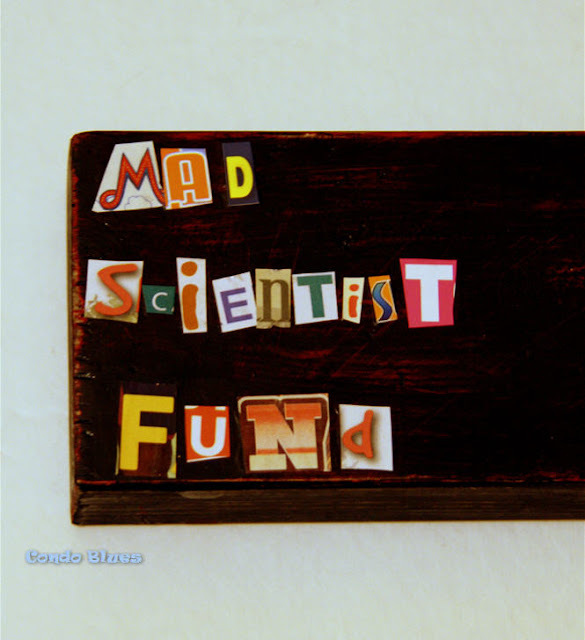 Use the scissors to cut the letters to spell Mad Scientist’s Fund from your old junk mail, flyers, magazines, etc. 5. Use the Mod Podge to glue and seal the paper letters to the wood base or to the mason jar if you like. Some people recycle their junk mail. I decorate with it. 6. Twist to remove the hooks from both ends of one of bungee cords. 7. Wrap the bungee cord around the top of the mason jar and twist the wire though the loops in the end of the bungee cord to hold it into place. 8. 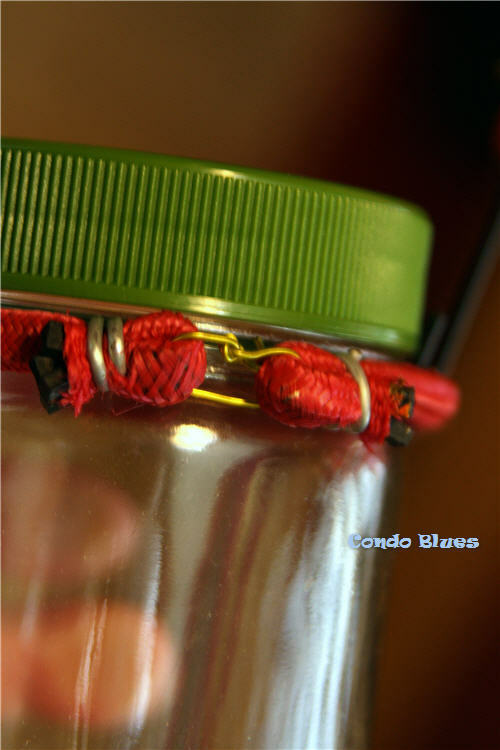 Attach the hooks of the second bungee cord to bungee cord hanger on the jar to make the handle. 9. Attach the saw tooth hanger to the back of the wood plaque. 10. Hammer a hanging nail to the front of the plaque for the hanging mason jar. 11. 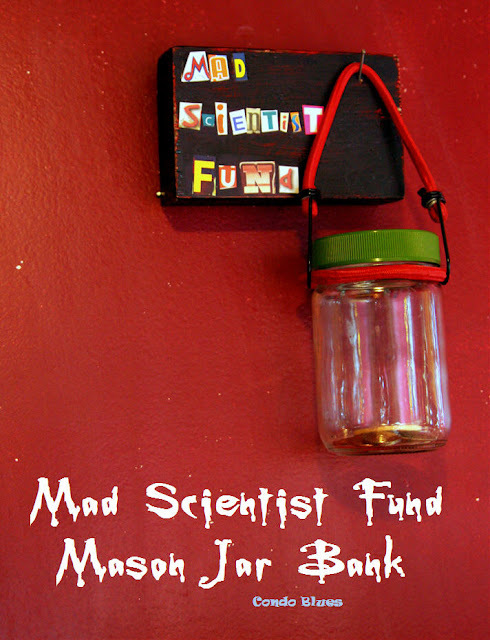 Assemble, hang it, and collect your Mad Money!